Can you see the crack? Now picture it going around the whole room. 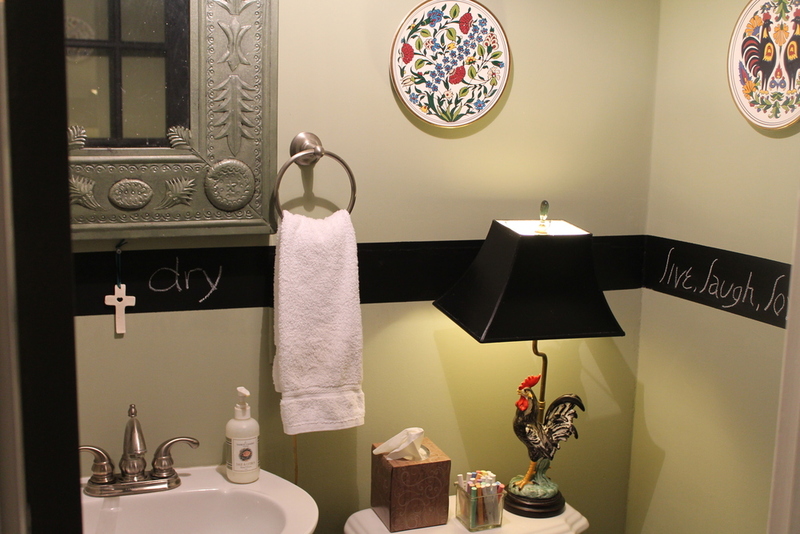 I had a partial can of chalkboard paint left over from another project. I figured black paint would hide just about anything, so I painted a 5" wide stripe over the crack around the entire room. 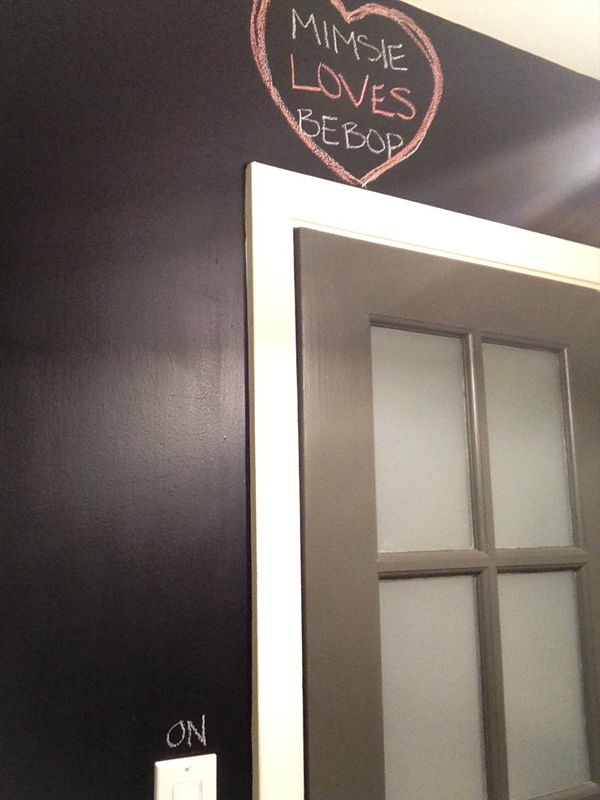 Then I painted the wall that the door is on. 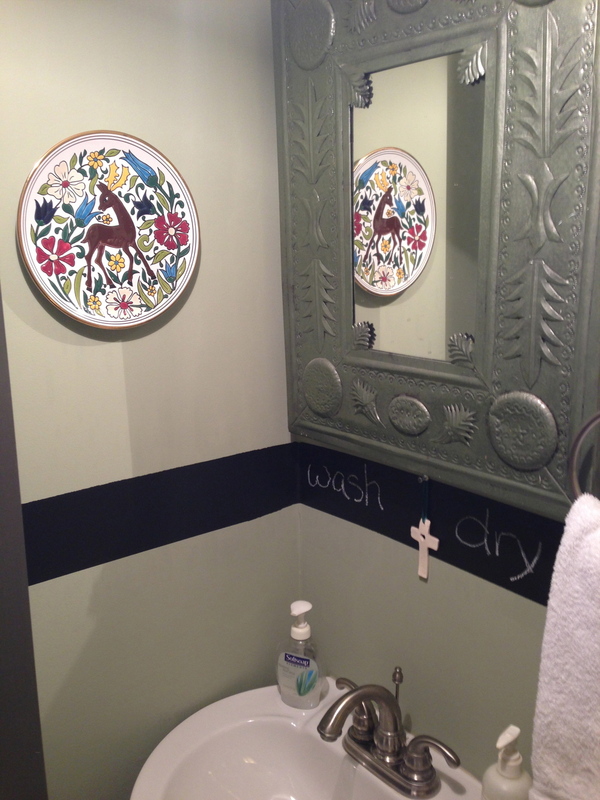 I rehung a few plates and put a container of chalk on the back of the toilet. I think it looks really cute! I can't wait to see what our guests write and draw. Sorry about the pictures. 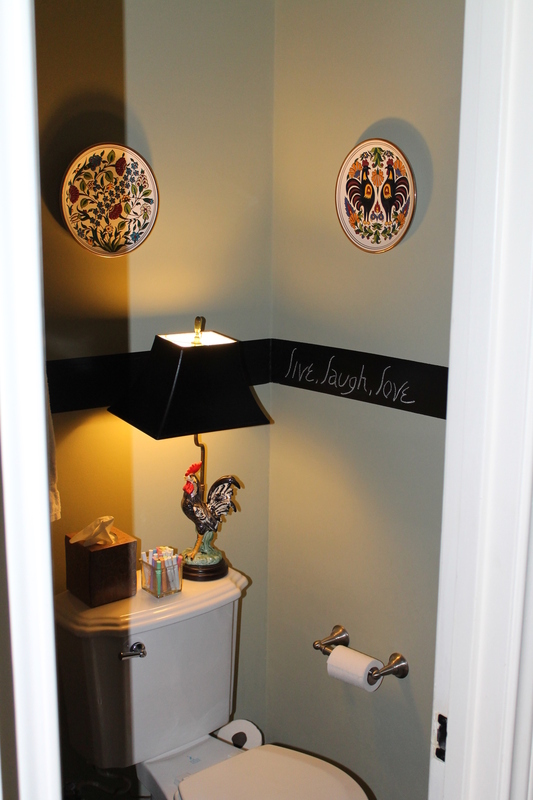 This powder room is tiny so I had trouble getting a decent shot. Hopefully you can get the idea. This project took a little over an hour and didn't cost me anything because I already had the paint. I'll admit, it's a temporary solution until we really repair the cracks, but I'm happy now! 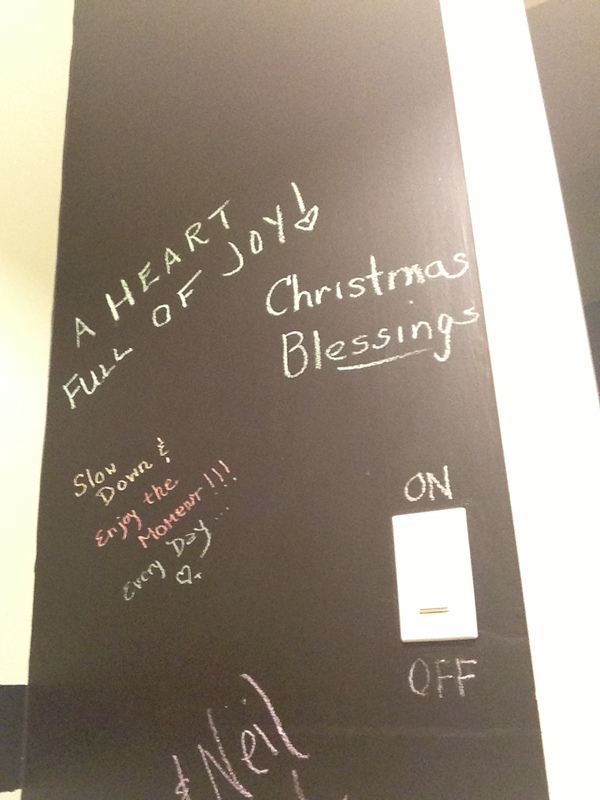 Posted in Around The Home and tagged with powder room, chalkboard. January 19, 2013 by Lynn Adams.